When one thinks of the history of the CIA the names that readily come to mind are “Wild” Bill Donavan, Allen W. Dulles, and a host of others. 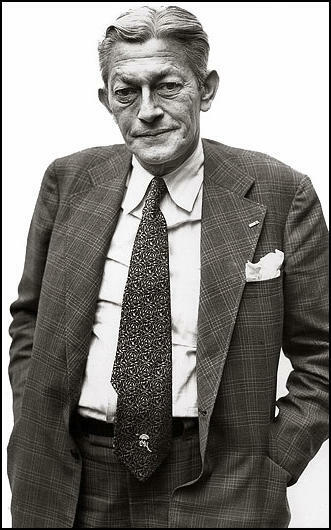 One name that sometimes remains in the shadows is James J. Angleton. Of these men it is safe to say that Angleton probably affected American national security the most between the onset of the Cold War and the investigation into CIA activities that permeated the mid to late 1970s. 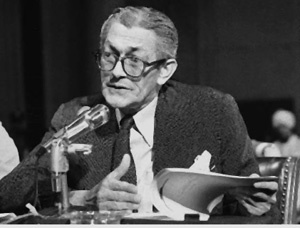 Angleton’s life and intelligence career is the subject of Jefferson Morley’s new study, THE GHOST: THE SECRET LIFE OF CIA SPYMASTER JAMES JESUS ANGLETON that successfully answers the questions: Was Angleton a defender of the republic? Did he become the embodiment of double government? Was he an avatar of the emerging “deep state?” For Morley the answer to these question seems to be an emphatic, yes. Morley’s monograph is not a complete biography, but more of a work of synthesis that briefly explores Angleton’s background then delves into the affect that the spymaster had on American foreign and intelligence policies. As one explores his life the author uncovers numerous policy decisions and actions taken by Angleton that on the surface seem controversial and once implemented evolve into the dominant policy of the emerging national security state. In examining certain aspects of US intelligence history we can see Angleton’s imprint and historical importance. Morley’s analysis reflects his influence in many ways. 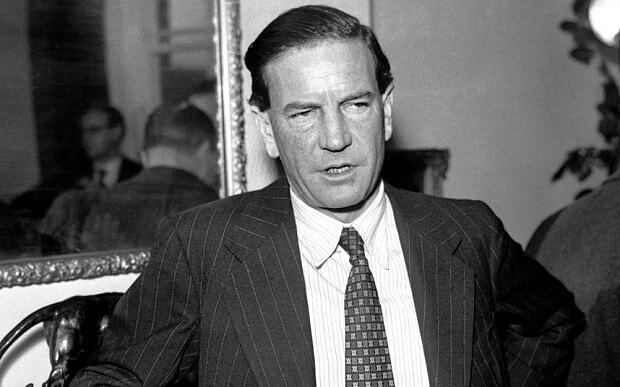 First, his relationship with Kim Philby, the British spy who served as his mentor and teacher as Angleton became consumed with counterintelligence after the World War II. Philby along with Norman Pearson educated Angleton on the ins and outs of the German spy system called ULTRA where he learned how deception could shape the battlefield of powerful nations at war. The Angleton-Philby friendship is important because the Englishman, along with Guy Burgess and Donald McClean were part of the Cambridge five who spied for the Soviet Union for years. The greatest shock in Angleton’s life was learning Philby’s true identity and how he facilitated his spy craft. The second area that most people are not aware of is Angleton’s culpability in recruiting and protecting the freedom of former Nazis after the war, i.e., Eugene Dollman, a translator for Hitler and Mussolini and Walter Rauff who was responsible for the death of over 250,000 Jews during the war. A third area that might surprise some is Angleton’s role in developing the CIA experimentation and use of LSD as a tool in compelling suspected spies to tell the truth. The program known as MKULTRA encompassed a wide range of experiments to control the workings of the human mind in the name of national security. As a result a number of people died and many others had their lives ruined. Once Dwight D. Eisenhower assumed the presidency and appointed Allen W. Dulles as the head of the CIA, Angleton’s influence increased markedly. Angleton was able to convince Dulles, an old friend and compatriot of the need to develop a staff of people who were knowledgeable and understood the KGB and its methods. This was designed to oversee covert operations and protect against Soviet penetration of the US government and the CIA. As a result we have Angleton’s fourth area of importance, the development of his own clandestine service within the CIA – his own empire. Furthering his influence, Angleton was able to convince FBI Director J. Edgar Hoover to cooperate by sharing domestic counterintelligence dealing with the Soviet Union. If this was not enough Angleton developed LINGUAL, a program in concert with the FBI’s COINTELPRO operation to illegally open the mail bound for the Soviet Union. It was through this program that Morley effectively introduces the reader to Lee Harvey Oswald and Angleton’s knowledge and possible culpability in the Kennedy assassination. One of the criticisms, if in fact it can be considered as such is that Morley presents these aspects of Angleton’s career in a cursory way for the first half of the book. As a shorter work I guess this is acceptable, but I would have liked the author to engage in the type of exploration of motive and effect as he did with Angleton’s role in covering up the Kennedy assassination investigation. In the fifth and most important area Morley examines Angleton’s investigation of Oswald from 1959 to 1963, from his defection to the Soviet Union and return to the United States, his affiliation with pro-Fidel Castro organizations, his visits to the Cuban embassy in Mexico City, a hotbed of pro-Castro activity, and where Oswald wound up in September, 1963. After the assassination Angleton gave the impression he knew very little about Oswald before November 22, 1963, when in fact his staff had monitored his movements for years and his special investigations provided him with numerous reports of Oswald’s travels. Obviously this led to an epic counter-intelligence failure. One of Angleton’s major roles was tracking defectors and he received three FBI reports on the intelligence function of the Cuban embassy in Mexico City the two months leading to Kennedy’s death, but he would never speak publicly about this. We are all aware of the CIA conspiracy theories concerning the Kennedy assassination because of their anger over the Bay of Pigs and the Cuban Missile crisis, anger that Angleton shared. 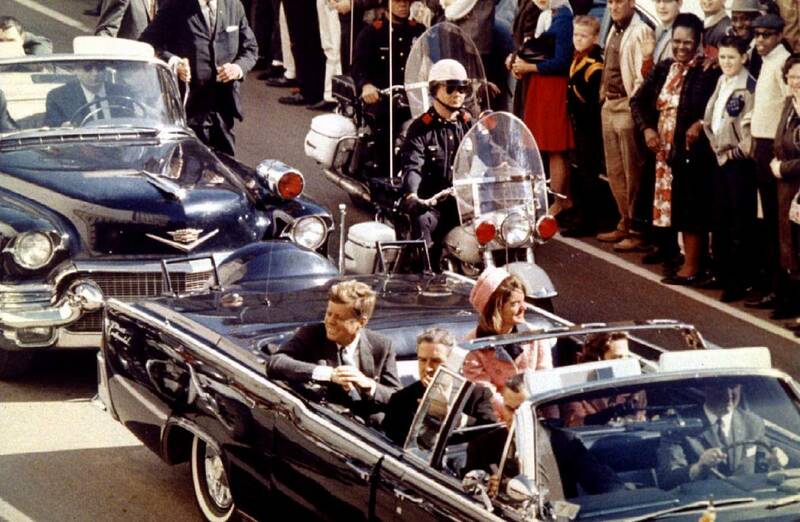 Angleton’s power was at its apex during the investigation into the Kennedy assassination which happened on his watch. In perhaps his best chapter, Morley describes how Angleton managed to wind up in charge of the CIA’s investigation of Oswald. 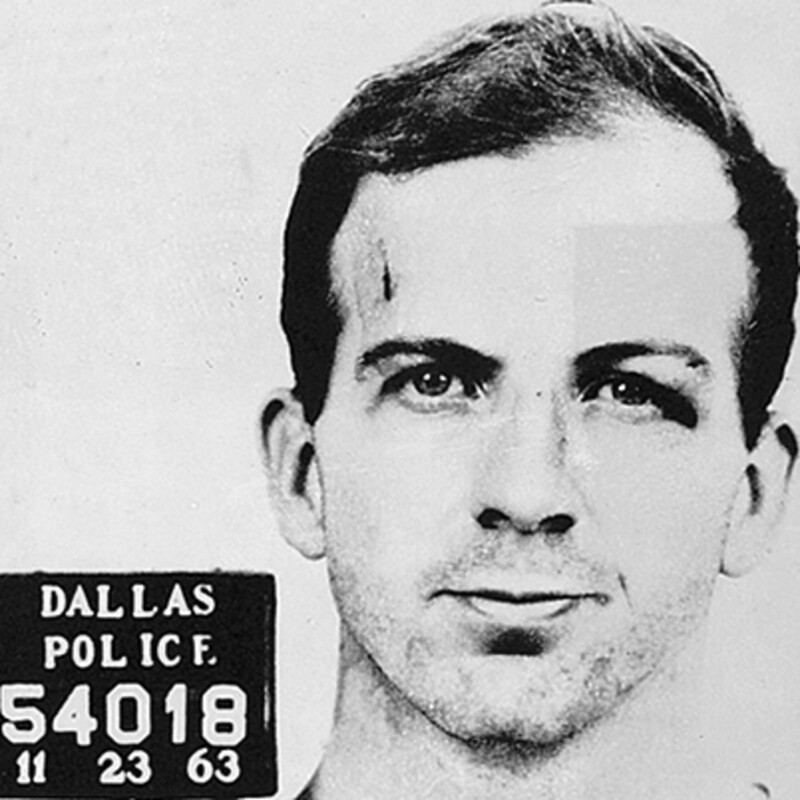 During the Kennedy administration, Angleton’s staff knew more about the obscure and “unimportant” Lee Harvey Oswald than anyone in the US government. After Kennedy’s death, Angleton would orchestrate the cover-up of what the CIA knew and engaged in obstruction of justice as he did not want anyone to find out that he had been investigating Oswald for years. In addition, Angleton hid the knowledge that Castro probably knew of the CIA’s recruitment of Rolando Cubela to assassinate the Cuban dictator – in a sense Castro got Kennedy, before Kennedy got him. Angleton should have been fired for malfeasance; instead he would remain in a position of supreme power for another ten years. Despite that power, Angleton would be beleaguered by Kennedy’s death and would spend his time putting out fires when others came forth with new information, fires that ruined careers, resulted in the seizure of personal material, and a few questionable deaths. There are numerous other areas of Angleton’s shadowy work and influence. As he grew up and was educated he held many anti-Semitic views, but would come to realize the importance of Israel’s intelligence community. Almost from the foundation of the Jewish state, Angleton developed a strong relationship with the Mossad and Shin Bet, Israeli intelligence agencies that would benefit both countries, as they shared intelligence, weaponry, and other information geared against the Soviet Union and the Arab world. Two useful examples are KKMOUNTAIN which resulted in millions in annual cash payments to the Mossad and in return the Israelis authorized their agents to act as American surrogates throughout North Africa, and Angleton’s surreptitious support for the Israeli development of a nuclear weapons program. Further, Angleton assisted Israel during the 1967 War and helped whitewash the investigation into the Israeli attack on the USS Liberty. In fact one high ranking Israeli intelligence official described Angleton as a Zionist and the Jewish state almost seemed like his second home. One of the major themes that Mosley develops throughout the book is how the suspicious mole hunter that Angleton had become throughout his career grew more and more paranoid by the late 1960s. 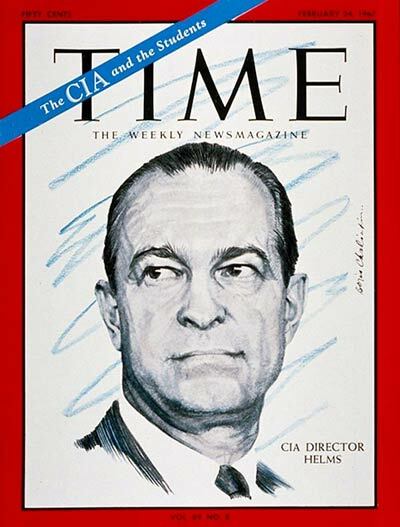 Angleton’s conspiracy theories about the Soviet Union and the KGB provoked questioning within the CIA, but as long as Richard Helms, his old friend and compatriot was DCIA he was safe. Angleton’s paranoia ruined many careers of innocent people and he eventually lost the support of J. Edgar Hoover. One thing was clear, as Angleton grew old he became more obsessive about Russian infiltration and spying, and to his dying day believed that the Soviet Union had a mole inside the CIA for decades. Angleton’s role in domestic surveillance is one that lives on today with the NSA and other aspects of the Patriot Act. In the 1960s as the anti-war movement and a black insurgency were seen as threats, Helms and Angleton set up a new intelligence collection program – Operation CHAOS. It would infiltrate the anti-war movement, index the names of over 300,000 Americans, and create files on 7200 people. As more and more domestic violence took place President Nixon resorted the Huston Plan which emerged three years later during Watergate, a plan that was the brainchild of Angleton. The plan called for a dramatic expansion of domestic intelligence collection and Nixon lifted any restrictions that might get in its way. Nixon would have to shut down the Huston Plan months later because of the opposition of Attorney General John Mitchell, and J. Edgar Hoover, but Angleton continued to oversee its operation. The reelection of Richard Nixon in 1972 witnessed the firing of Helms which signaled a bad time was coming. Without Helms as cover Angleton would have to deal with William Colby as the new DCIA, a man he had been in conflict with for years. Colby understood that the CIA had to adapt to the new realities in American politics and society in the 1970s, something Angleton could not. Colby would suspend a number of surveillance programs and limit others. Angleton also made an enemy out of Henry Kissinger as he seemed to have misread intelligence pertaining to the Arab attack that launched the 1973 Yom Kippur War. Despite these problems, Angleton remained obsessed with Russian deception operations and even argued that British Prime Minister Harold Wilson was a Soviet agent. Once the Nixon tapes were released, the domestic role of the CIA and Angleton in particular came into plain view. This would lead to Seymour Hirsh’s expose in the New York Times, and the formation of the Senate Church Committee which would attack and question Angleton’s beliefs and life’s work.